Since 2006 I`m making balkan parties in Ukraine and play there as a dj. My interest in Balkan music comes from my childhood. When I was going to a food market with my parents many sellers there was Moldavian, Romanian and Bulgarians – they looked very vital and attractive. Ofcourse they played their music and I liked it so much. From other hand I remember a strange Sunday TV show in early morning, on local Odessa chanel which was 4 hours marathon of Moldavian and Romanina pop songs. My interest in balkan music lead me to turbo folk. 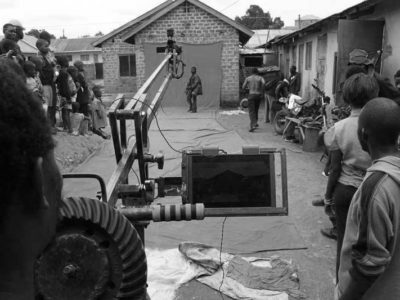 It was in time when conflict in Ukraine got to its highest degree and everyday news was only of war reportages. In that time many musicians in Ukraine started to record patriotic songs. I watched hours and hours of music videos on youtube. Sometimes I cannot recognized is it Serbian or Bosnian song but all of them were about rising of patriotic mood for violence against opposite part of the conflict. I decided to chose two most popular song from this conflict, translate it to ukrainian and to make karaoke version. It was my work for 4th Odessa Biennale and first part of Song of the south Slavs. 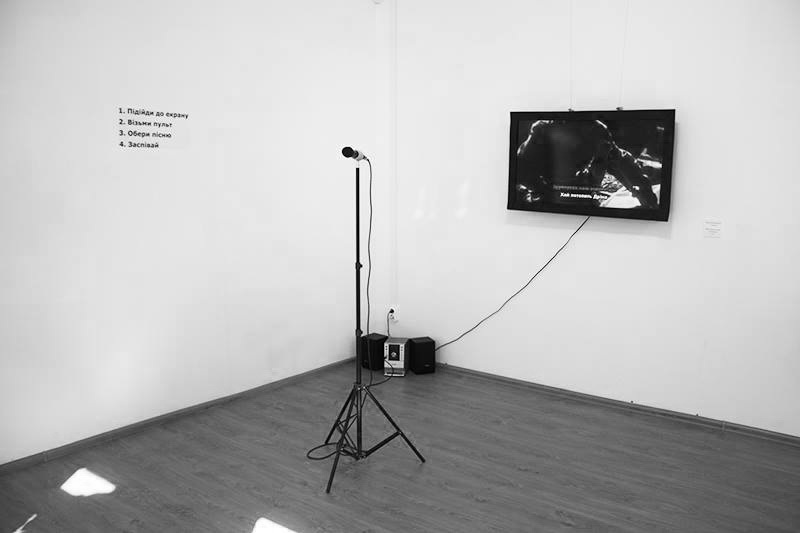 The work with music archive is key aspect of Nikolay Karabinovych artistic practice. Due to his long-time predilection for Balkan music, he draws attention to the so-called “turbo-folk” style – military propaganda songs used during the Balkan conflict. 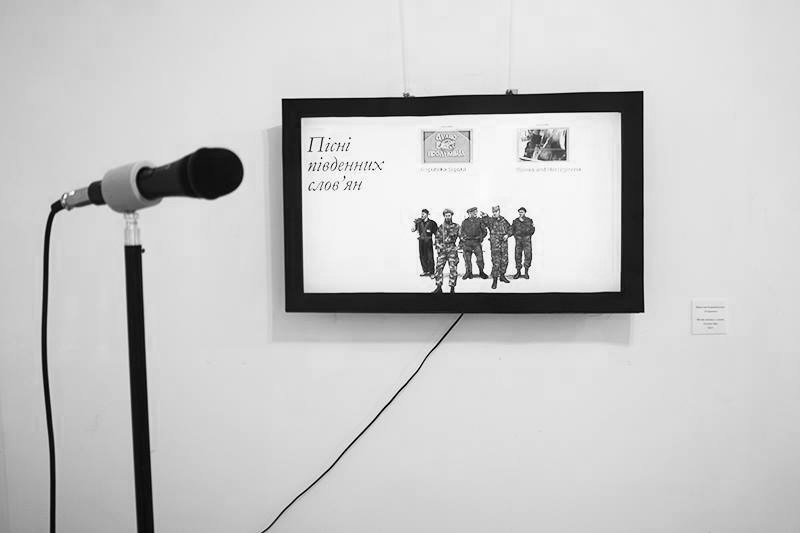 The lyrics of both Bosnian and Serbian songs are very similar – sides of the conflict tend to raise morale and call for violence using identical lyric instruments. 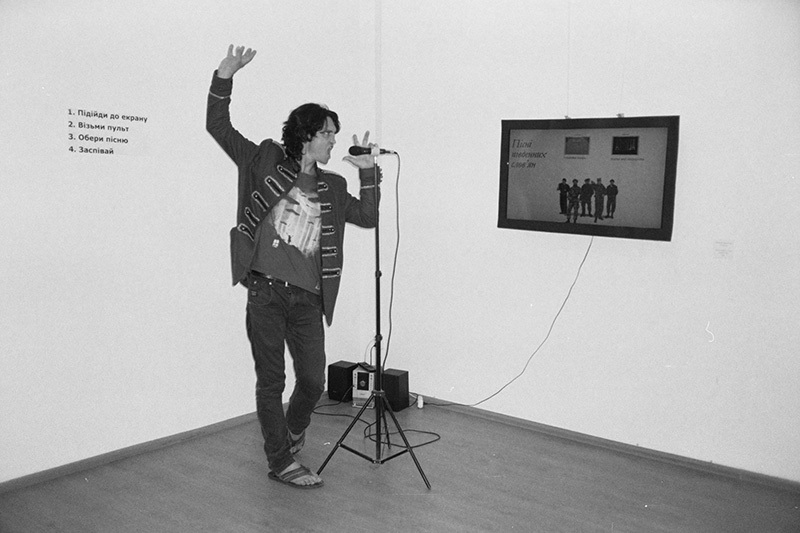 In this work such songs are represented in the form of karaoke and it proposes to the viewer to compare this songs both in musical and textual aspects, and to make sure, that the language of hatred does is equally ugly despite any national aspects.